For homes of substance, designed with permanence in mind, Harbridge is everything disposable style is not, comforting, well crafted and timeless. It comes in a warm Nutmeg stained Elm veneer over premium hardwood. 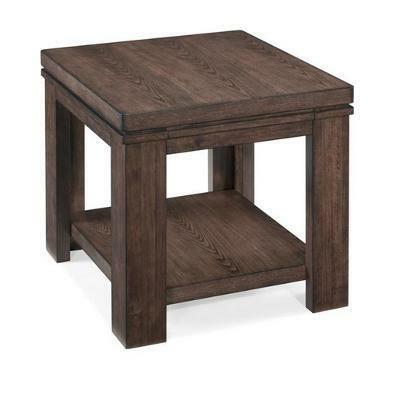 This End Table features a bottom shelf and sturdy legs.